The ber months actually remind me of a lot of things. October is my family's month because most of my relatives have birthdays in October. November gives us one day in a year to visit our loved ones who passed away and right after all souls day it will begin to feel a lot like Christmas. I love so many things about the upcoming holidays and one of them is the thrill of scouting for my next planner. In the past years during my residency training in Pediatrics I've made use of quite a number of planners. Corporate planners, pocket trendy planners, planners from Starbucks and Coffeebean, even those given free by drug reps, name them, I've used them all. 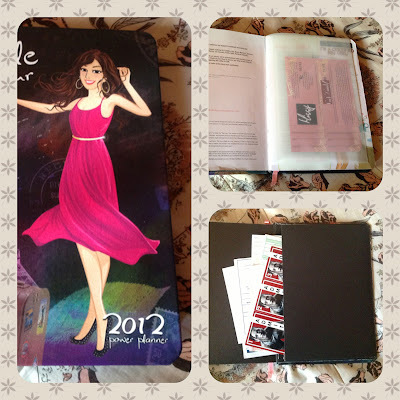 But the one planner I totally fell in love with is the Belle de Jour 2012 power planner. Belle de Jour is not actually new to me because I had their first planner a long time ago but I never got to use it thoroughly. I tend to stray away from using planners toward the end of the year but the Belle de Jour 2012 power planner is so functional that I find it too hard to ignore. First off, I am impressed at how it has withstand wear and tear for almost an entire year! Seriously, I travel with this planner in my bag almost everyday and it still looks the same as the day I bought it. The cover didn't fold, chip or even fade. Simplicity and functionality are just few of the words to describe this power planner. The clear pocket found within the first few pages and a back pocket on the rear cover were simple features that proved to be really useful in keeping your coupons organized and well kept. The letter to self got me hyped! It was the very first thing I accomplished when I got the planner. Too much emotions were flowing that I almost ran out of space. The dream board gave me an outlet to share all my hopes and dreams for the year. I love that it serves as a visual reminder of my goals. 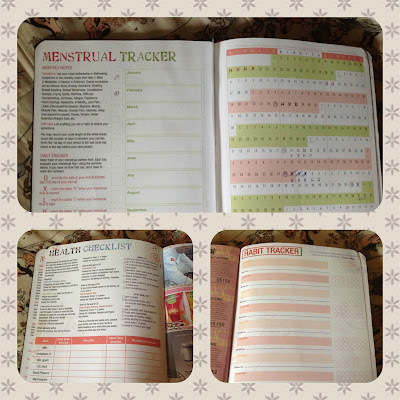 The menstrual tracker is a great way to start knowing your OB history so you can give accurate info when the need arises. The health checklist and habit tracker are likewise helpful tools in documenting your health. 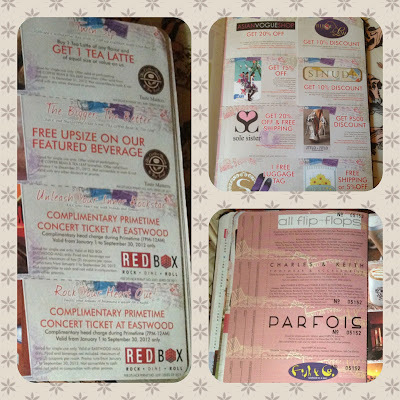 Of course, these are my favorites.. lots of vouchers from different establishments and on-line sellers. You will find a variety of coupons that can be very useful and some might not be that appealing but good thing you can always give them to your friends. 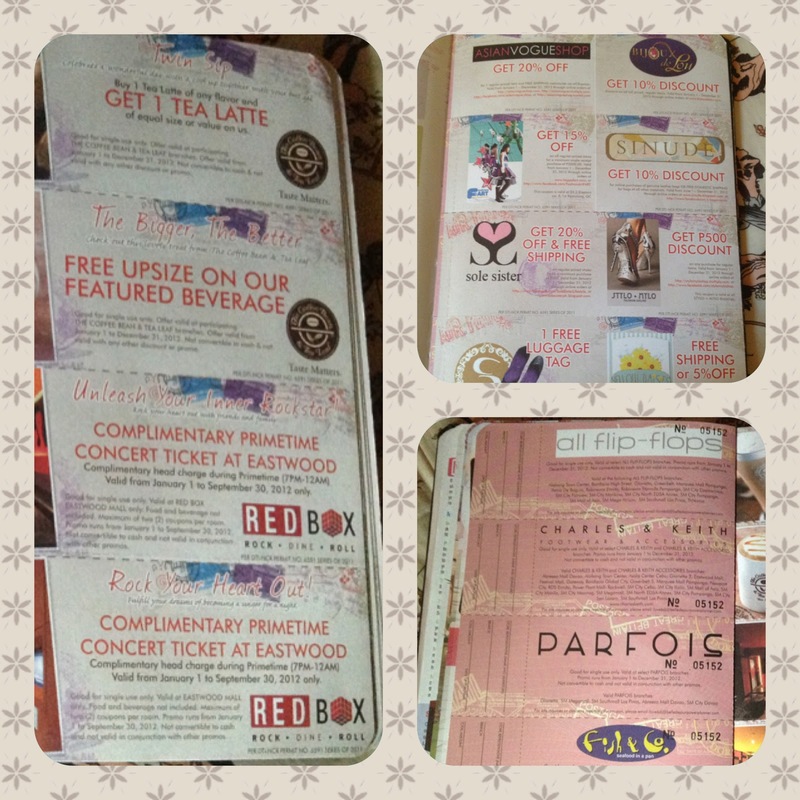 Included with the planner are instructions on how to get your own lifestyle card for you to enjoy more perks and discounts. The best part of this power planner is a guide on how to maximize its use. I know most people would just skip this part but I really found this page very helpful. I never really got to finish any planner except this one. Belle de Jour has indeed proven its worth in my book. I highly recommend it to everyone and I am now devoted to buying one annually.